The intersection of horses and spiritualism is an interesting one to consider. In one corner you have the very earthy horse itself, seemingly connected to the planet’s surface by every bond imaginable: eyes to seek out predators on the plain, teeth to pull up the grass growing from the soil, hooves and long legs that are nothing more than incredibly elongated fingers and nails designed for speed across the sprawling prairies of a prehistoric Earth. In the other corner you have humans with the constant struggle to see further than their sight can grasp, the desire to slip their connection with the grass and soil and lift into the skies, and the ability to transform, through ingenuity, into almost anything else they want. When horses and humans meet, interesting things happen. The content of Earth meets a spirit always struggling for more, longing to understand. Cara Whitney’s Unbridled Faith: 100 Devotions from the Horse Farm is a the result of such an intersection. As a daily read for an equestrian, it’s both a grounding exercise and a reminder to look higher. Written as two-page vignettes illustrated with lovely equestrian and farm photography — including Whitney’s adorable Icelandic horse, whom she introduces first as Sven, then admits his nickname is Fat Benny — Unbridled Faith puts Biblical quotes into practical equine context. Comparing the words of Esther to a horse refusing to load puts an entirely new spin onto these old stories! While this book is clearly aimed at Christian audiences, there’s nothing here that couldn’t be enjoyed by a spiritual person who is simply looking for some sensible thoughts in what could hardly be called a sensible point in history. After all, we all know our horses live much more practically than we do. We know that if a horse doesn’t want to get into a trailer, there’s a reason. There’s a backstory. We know we have to work that out and gain our horse’s trust. How does that play into our daily lives? How can we use that horse sense we’ve acquired over the years, to do better in the circumstances and situations off the farm? Or on the farm, heaven knows we all run into trouble in our barns often enough. The great news is, I’m offering this lovely hardcover book as a giveaway! Many thanks to Thomas Nelson and HarperCollins Christian Publishing for making this book available as a prize. Just comment on this blog post between today and midnight Sunday, June 24 to enter. You can share something funny or wise a horse has taught you, or you can just comment “pick me pick me!” – whatever works for you. I’ll pick a comment number using Random.org’s random number generator on Monday, June 25 and be in touch with the winner for your mailing address. Entries must be made between publication on June 16 and 23:59 June 24, 2018. Entry is in the form of a comment on this blog post. Entry is limited to U.S. residents and mainland U.S. mailing addresses. Winner will be notified by email via the account registered to make the blog comment. Prize delivery will be within 2 weeks of receipt of winner’s mailing address. Not responsible for lost or stolen packages or undeliverable status from the post office. Learn more about Unbridled Faith: 100 Devotions from the Horse Farm here. Now leave a comment to win! For Bill Bryson fans, Mr. Bryson can do no wrong. And you’d better believe I’m a Bill Bryson fan. His travel stories are the perfect blend of grouchy internal monologue and “oops did I say that aloud” less-than-internal monologues. As a grouchy internal monologue super-user, I identify with Bryson every time the human race does something dismaying. Even within the close confines of that small island of Britain, there’s plenty of room for the human race to do something dismaying. Our favorite globe-trotting grouch encounters morose barkeeps who turn away dinner patrons from empty rooms because the kitchen is slammed, witnesses a total lack of English grammar in the land where English grammar was born, and a poster of Jeremy Clarkson being judgmental (also without grammar). It’s enough to make a person weep for the future. Luckily, he also finds views. Marvelous, marvelous views. The Road to Little Dribbling is filled with descriptions of views. The view from the top of a hill, usually. Sometimes the view from a cliff, for a slight change. Sometimes a view of a lake, or an ocean, or more hills. I’ve never been so raptly fascinated with the concept of showy landscape. I reached a point where I was Googling each place Bryson visited, so that I could take it all in right alongside him. I now want nothing more than to go tramping through the most unknown, under-appreciated corners of England, following the so-called “Bryson Line,” taking in all those magnificent views. Along with those views, there is also a little bit of melancholy — again, a staple element of a Bryson trip. So many things gone, or teetering on the edge of being gone… buildings, livelihoods, shops, and yes… perfect landscapes. They’re always on a precipice of being lost, whether from a lack of funds, a lack of thought, or a lack of foresight. Bill Bryson’s latest book makes me long to go to England, not just the England he’s tramping through today, but the England of two hundred years ago, the England of two thousand years ago, and even further back than that, because, as I’ve newly discovered, Britain is unimaginably ancient. Until I can get there, I’ll just reread his book, laughing out loud in public and sighing over those longed-for views. The Road to Little Dribbling will be released in the US on January 19, 2016. 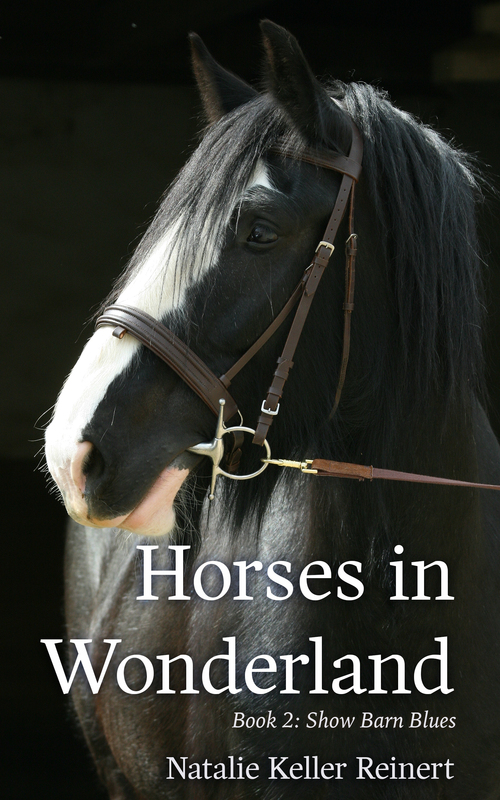 Eleven books ago, when Kate came to Timber Ridge Stables and became Holly’s companion, we could all see this was the beginning of a beautiful relationship. And it has been! Through horse shows and horse camps, blizzards and summer storms, film shoots and crime scenes, Kate and Holly have been through it all together. They’re true BFFs. So nothing could ever come between these two best friends, right? Especially two best friends who are now sisters! But these girls are tight, and these problems are tiny. What could come between them? Well, something royal this way comes. Mutual friend Twiggy (Flying Changes, book 10), is coming to visit Timber Ridge Stables. Twiggy is a European princess who trails drama in her wake. Holly adores her. Kate, less a fan, just adds the upcoming Twiggy drama to her list of worries. Doesn’t she have enough problems, without coaching Holly through a royal visit (or coping with Holly’s hair, makeup, and wardrobe obsessions)? Kate, as she sees it, has some very real problems. Including, distressingly enough, wondering whether her beloved Tapestry is enough horse for her hopes and dreams. I’m with Kate — princesses are all good and well, boys are very nice for someone, and clothes are for rubbing off horse slobber on — the real problem in this world is making sure the horse you love and the horse you need are one and the same. Sometimes, it can be impossible to know for sure. Something Royal is a delightful read, full of twists and subplots (I didn’t even mention there might be a stalker!) with lovely horses and the passionate barn-rat kids who love them. Watching Kate and Holly test the bounds of their friendship, while they each grapple with very different dilemmas, makes this series continue to surprise and delight with every new installment.